According to police, the 32-year-old accused, was arrested under the relevant IPC sections on Tuesday. 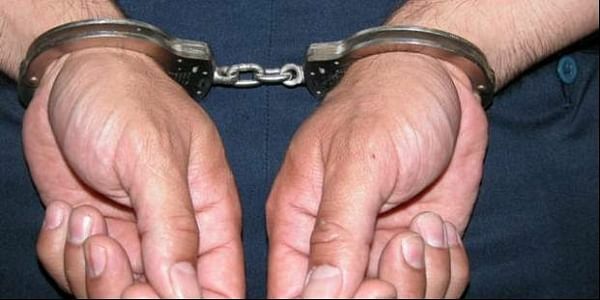 PUNE: A man has been arrested for allegedly duping as many as 2,100 people by selling fake "HMT" company watches and American diamond chains to people, police said today. According to police, the accused Balaji Ramchandra Maddipatla (32), owner of a firm called Vaidik Bazar, was arrested under the relevant IPC sections on Tuesday. "Maddipatla used to call people and tell them that their numbers have been selected through the lottery and they are entitled to get an HMT watch and an American diamond chain collectively worth Rs 1,899 for just Rs 550," said Nitin Bhosale-Patil, police inspector of Crime Branch (Unit I). One of the customers, Mahendra Sonawane, who ordered one such parcel from the accused, found that the watch and the diamond chain were fake and approached the police station. "The name of the brand engraved on the watch was spelt as HWT and not HMT, but the accused, while soliciting over the phone, used to tell the potential customer that he or she has won an HMT watch. "The diamond chain, too, was fake and during our investigation, it came to light that the actual price of the watch as well as the chain was Rs 70 each," Bhosale-Patil said. He added that during the investigation it was revealed that the accused, who started his company in September 2017 and since he had duped as many as 2,100 people using the lottery trick. "We have recovered 650 fake watches and diamond chains all worth Rs 90,000," he said. He also appealed that those who have been cheated by the accused, can approach police and lodge a complaint. In 2016, the government had approved the closure of three companies of Hindustan Machine Tools (HMT), India's oldest watch-making company. The company was incorporated as a Central government undertaking in February 1953. It has developed its unique identity among the countrymen over the years as HMT as a brand was popular among people.